When I first stumbled across Olekksii on the Fluttery Records website, I thought the name sounded familiar. Indeed, this is the last name of a Ukrainian artist known as Endless Melancholy, only his last name is spelled with a single 'k'. The artist Olekksii is Alexey Krolevets. Like Endless Melancholy, he is from Kiev, Ukraine. Olekksii specializes in electronica, but his music can appeal to fans more diverse than the typical electronic music lover. His new full-length album, "Iris" is an abbreviated eight-track album rich in classic electronic beats, smooth, atmospheric reverb, and piano. This music is multi-layered. While ambiance plays a crucial role in developing the dreary aspects of these tunes, it is sole focal point. Olekksii builds upon that template with recognizable electronic beats, which provide tempo and depth the music. Another key element of the mix is the piano. Simple, catchy piano melodies play a thoughtful juxtaposition with the electronic beats, while various string arrangements cast rays of beauty into the mix. 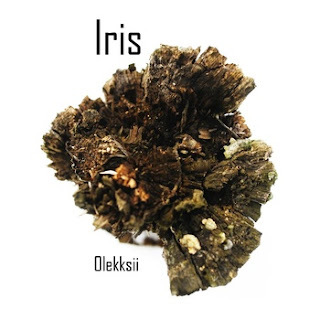 "Iris" would be a strong modern classical performance without the electronics. With those beats mixed in, it reflects on some latter film pieces. These arrangements of multiple cellos and violins instead call to mind true classical music. These arrangements are deep enough to sound cutting-edge and modern, but paced more like contemporary. The length of tracks does often matter to me. As I said in yesterday's post about Funeral for a Friend's new disc, short tracks can lead to less variety in musical sound. This is not the case with "Iris." Though the average track length is nearly identical to the new FFAF album, the music is strikingly diverse. This perhaps owes to the absence of vocals and the insistence of contemporary musicians need to create music devoid of catchy hooks or other sounds of repetitive nature. Indeed, these eight tracks seem to stretch much further. This album is still short and I do feel that Olekksii would have been served well by including just one or two additional songs, but this is but a minor complaint. Fluttery records claims that this music is for people impressed with works by Olafur Arnalds, Max Richter, and several other lesser-known artists. Having read this bio before I listened to a single note of the music, they had me at Olafur Arnalds. Olekksii is indeed similar to Arnalds, and believe me that is a major plus. I fully recommend purchasing "Iris". This is a fantastic listen and an inexpensive download. Check out the full stream, courtesy of the Olekksii bandcamp page below. Thanks for listening and enjoy!